It’s no surprise that I’m sore after running 26.2 miles in freezing conditions and on the hard road. My body is used to running on the trails. They are a little more forgiving on the joints. I live on the second floor of an apartment complex, and it’s pretty comical watching me walk backwards down the stairs. My quads are just too sore to hold me up going down the stairs the “normal” way. I got the , “Are you crazy?” stare from someone yesterday, and I had to giggle. But that’s ok. I’ve got to keep moving because life keeps moving. While it’d be nice to sit on the couch and not move until my sore muscles healed, that’s not good for my sore muscles—or my state of mind. So, if it takes walking backwards down the stairs to stay in life, I’ll do it. No matter what kind of pain I’m dealing with, be it physical or mental, I have got to keep moving. For me to stop and sit in it, I could get stuck there. That leads to depression, anxiety, physical illness, and that’s not where I want to be. 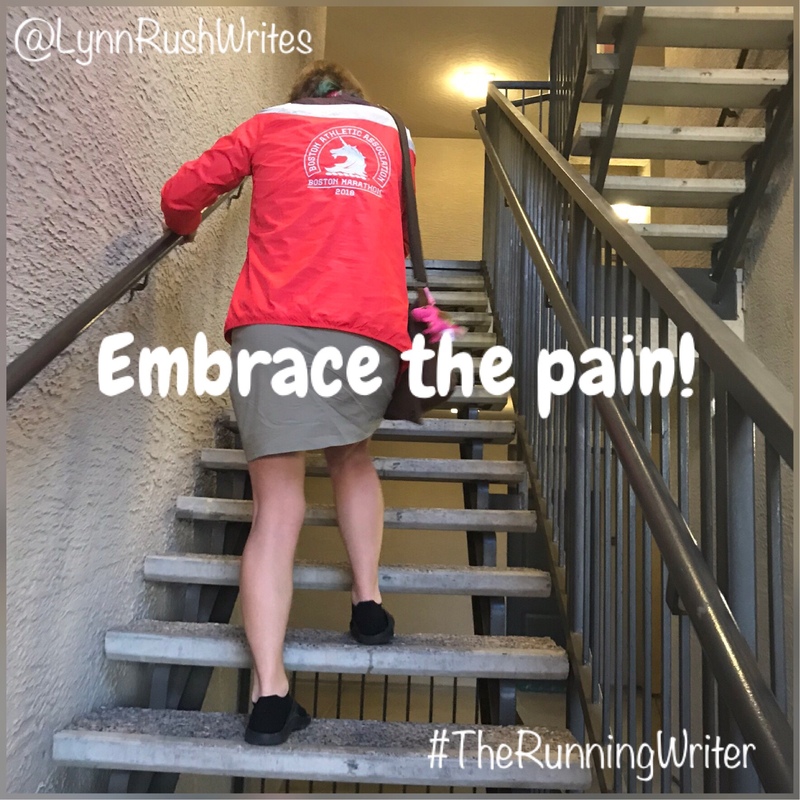 So I’ve got to embrace the pain and keep moving–even if I get some weird looks.